I'm sure you've noticed the nationwide trend away from handwriting practice in today's schools. With the ever-increasing use of technology, there seems to be no emphasis on handwriting at all. This is definitely not a trend that our homeschool is following. I think it is incredibly important that my children know how to write legibly. We received a Lifetime Membership to Homeschool Copywork, which provides us with access to a variety of e-books for copywork and notebooking pages. 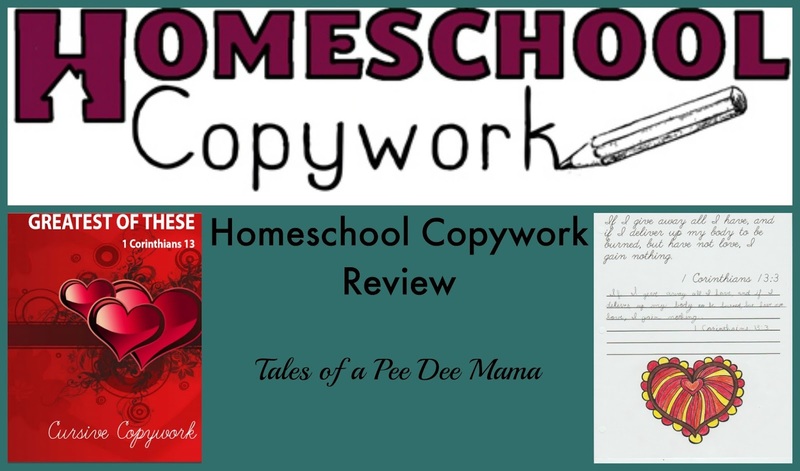 For this review, we received a Lifetime Membership to Homeschool Copywork, which includes access to all of the e-books on the Homeschool Copywork site. Currently there are 54 e-books available, but other full-length books as well as other Charlotte Mason style resources are added throughout the year. The copywork e-books are wonderful. They offer handwriting styles for whatever level or style you choose for your child to practice - Ball and Stick Manuscript, D'Nealian Manuscript, and Cursive. I've had all four of my girls practicing their cursive. The great thing about copywork is that the girls aren't just working on handwriting. They are practicing good spelling, punctuation, and grammar. In addition, they are learning great quotes, Bible verses, hymns, and more because not only can you choose what style of handwriting you want to use for copywork, but there are so many themes of e-books that you can choose from. I really appreciated that our membership gave me access to all of the e-books because all of my girls are so different. I could choose exactly which copywork I wanted each of them to work with. Soccer Girl loves art, so for her, we started with the Claude Monet Copywork and Artist Study. Each page contains a quote by Money as well as one of his paintings. The e-book encourages students to reflect on the artwork as they complete the copywork, thinking about the details of light and color, the artist's mood, and the time of day that the painting was completed. 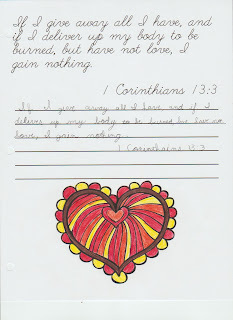 For Ballerina, I chose the Greatest of These: 1 Corinthians 13 Cursive Copywork e-book. She loves to memorize Scripture, and this was a fun way for her to practice this passage. 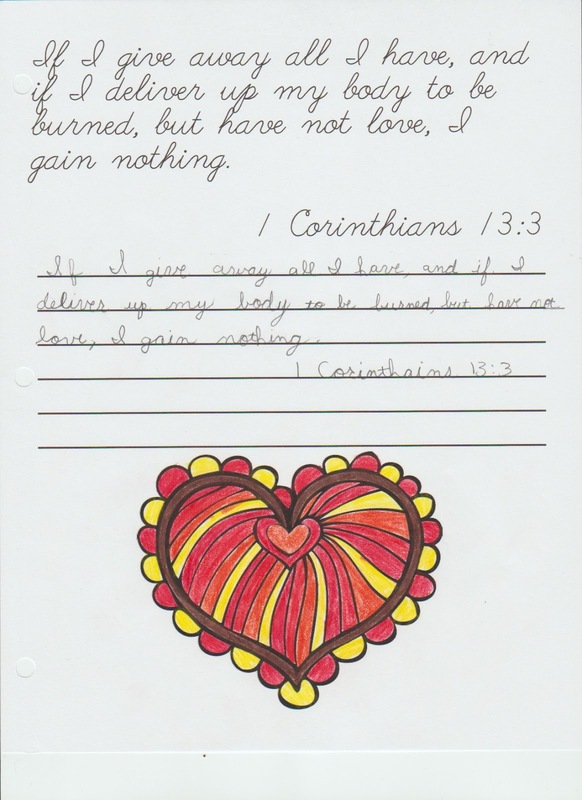 Each page contains a verse from 1 Corinthians 13 as well as a picture to color, usually an intricately designed heart. She really enjoyed the detailed coloring and made each page a little masterpiece of color. For Little Red and Sassy, I chose the Character Building Copywork: Copying Scriptures to Train the Heart study. This e-book contains a variety of Scriptures that focus on character issues. (It's kind of ironic that as I'm writing this review, those 2 are arguing LOL.) This book is similar to the 1 Corinthians 13 book in that each page contains a picture to color along with one or two verses to copy. Working on copywork every day not only improved my girls' handwriting but it also helped them to learn Scripture, art appreciation, and writing skills. I am very thankful for this lifetime membership because I have so many other e-books that we want to use. Are you interested in what others have to say about Homeschool Copywork? Check out more reviews from the Homeschool Review Crew.